Son of Heaven was a title of King Wu of Zhou, and of sovereigns of China afterwards. The Son of Heaven (Chinese and Japanese: 天子; pinyin: Tiānzǐ; ) is an imperial title originating from the ancient Han Chinese emperors and subsequently adopted by other East Asian monarchs that was founded on the theoretical principle of the cosmic Mandate of Heaven. The Son of Heaven is a universal emperor who rules tianxia comprising "all under heaven" which translates from the ancient Chinese into English as "ruler of the whole world." The title was interpreted literally only in China and Japan, and the Chinese and Japanese monarchs were referred to as a demigod, deity or "living God" chosen by the cosmic intelligence or entity referred to as the "Heavens" which in ancient Chinese sources usually referred to the universe. The title Son of Heaven comes from the Mandate of Heaven, created by the monarchs of the Zhou dynasty to justify deposing the Shang dynasty. They declared that Heaven had revoked the mandate from the Shang and given it to the Zhou in retaliation for Shang corruption and misrule. Heaven bestowed the mandate to whomever was best fit to rule. The title held the emperor responsible for the prosperity and security of his people through the threat of losing the mandate. 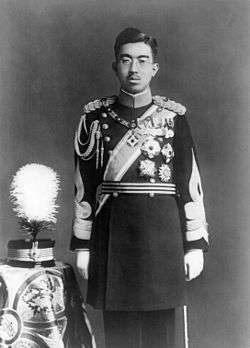 The Emperor of Japan ruled as a divine descendant of the sun goddess Amaterasu. The ancient Han Chinese imperial title of tianzi (天子) was later adopted by the Emperor of Japan during the Asuka period. Japan sent diplomatic missions to China, then under the rule of the Sui dynasty, forming cultural and commercial ties. The Yamato state modeled their government after the Confucian imperial bureaucracy. A mission in 607 delivered a message that greeted the Sui emperor by saying that "the Son of Heaven in the land where the sun rises ... to the Son of Heaven in the land where the sun sets." The Japanese title was less conditional than its Chinese counterpart. There was no divine mandate that punished the emperor for failing to rule justly. The right to rule of the Japanese emperor, descended from the sun goddess Amaterasu, was absolute. The Vietnamese title Thiên tử (Chữ Hán: 天子) was more similar to the Chinese Son of Heaven. A divine mandate gave the Vietnamese emperor the right to rule, but it was based on his ability to govern and not his lineage. The adoption in Vietnam of a Confucian bureaucracy ruled by a Son of Heaven led to the creation of a Vietnamese tributary system in Southeast Asia modeled on the Chinese Sinocentric system in East Asia. The Son of Heaven was often one of several titles adopted by East Asian monarchs. Emperor Taizong of Tang held the Chinese Son of Heaven title and the Central Asian title of Tengeri Qaghan ("Tenger Khan" or the God like Emperor), which he gained after defeating the Tujue. Japanese monarchs employed the title of tennō (天皇, "Heavenly Emperor"), a name that also appeals to the emperor's connection to Heaven. ↑ Ebrey 2010, p. 179. 1 2 Dull 1990, p. 59. 1 2 Huffman 2010, p. 15. ↑ Inoue 1993, p. 182. ↑ Beasley 1999, p. 29. ↑ Woodside 1971, p. 9. ↑ Woodside 1971, pp. 234–237. ↑ Twitchett 2000, p. 124. ↑ Ooms 2009, pp. 154–156. Beasley, William (1999). "The Making of a Monarchy". The Japanese Experience: A Short History of Japan. University of California Press. ISBN 978-0-520-22560-2. Dull, Jack (1990). "The Evolution of Government in China". Heritage of China: Contemporary Perspectives on Chinese Civilization. University of California Press. ISBN 978-0-520-06441-6. Huffman, James (2010). Japan in World History. Oxford University Press. ISBN 978-0-19-979884-1. Inoue, Mitsusada (1993). "The Century of Reform". The Cambridge History of Japan. Cambridge University Press. pp. 163–220. ISBN 978-0-521-22352-2. Ooms, Herman (2009). Imperial Politics and Symbolics in Ancient Japan: The Tenmu Dynasty, 650–800. University of Hawaii Press. ISBN 978-0-8248-3235-3. Woodside, Alexander (1971). Vietnam and the Chinese Model: A Comparative Study of Vietnamese and Chinese Government in the First Half of the Nineteenth Century. Harvard University Press. ISBN 978-0-674-93721-5.